Now, beauty standards do of course differ all over the world, however, there is one part of the body that seems to be held to the same standards no matter where you may be, and that’s your eyebrows. And because of this, there’s been an incredibly popular trend floating around the last couple of years called “microblading” and if you’ve never had it done then you’re obviously like so totally gross, I mean, ew. 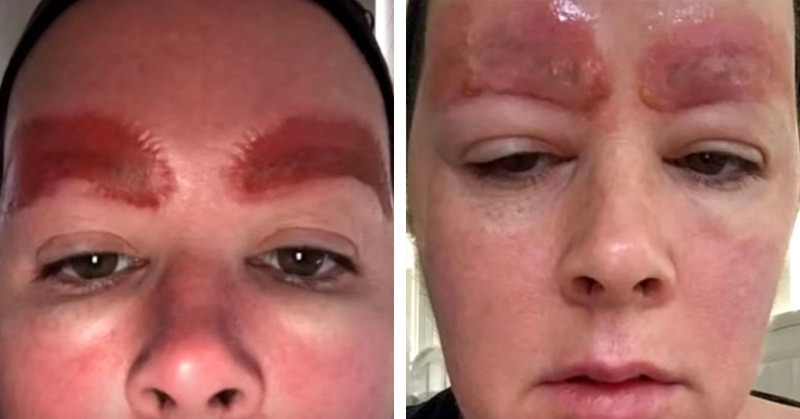 ANYWAY, an American has recently bitten the bullet and had the treatment done… and because of it, has now been left with an absolutely horrific infection after the eyebrow microblading procedure went horribly, horribly wrong. And I think it’s safe to say that the unnamed woman has become somewhat of a talking point on the US TV show The Doctors, which is a show where specialists in health and wellness sit down and discuss hot beauty trends, real-life stories, and health tips. The host of this show, Dr. Travis Stork introduced the segment by warning the audience that the pictures would be insanely graphic – however, as you can probably imagine, the poor woman’s blistered, infected, sore-looking eyebrows were still met with gasps of horror. 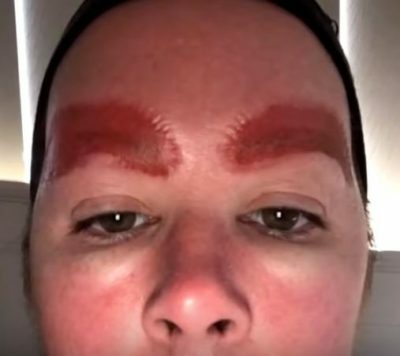 He explained that this unfortunate victim of microblading-gone-wrong wanted to use her own experience as a way to warn others about what the dangers of the procedure could be, adding ‘I don’t blame her, that doesn’t look good. It looks painful’. …Er, yeah, painful is one way to put it. But what exactly is microblading? Well, microblading is a tattooing technique which is usually intended to fill out your natural eyebrows. It involves using a small tool which is made of several teeny tiny needles to add semi-permanent pigment to the skin, and if it is done right, it can look really nice and natural. Clearly, this was not the case for this particular woman, however. Then another host of the show chimed in to explain what could have possibly caused this infection, suggesting that maybe the instruments which were used during the procedure may not have been sterilized, or that the client’s skin just wasn’t cleaned properly.